Let Us Help You Help Your Franchisees! As franchisors, we understand that the relationship between a franchisor and their franchisees goes through cycles. One of the major drivers of these cycles is profitability. Profitability, in turn, is often directly impacted by availability to easy cash. So, in short, a franchisor’s relationship with their franchisees is directly affected by the franchisee’s availability to access capital. Access to capital can significantly impact not just your franchisee’s growth potential, but also yours. Have you ever turned down a single-unit franchisee for a second unit, knowing that they would do amazing but they just wouldn’t be able to secure funding? Have you ever seen a franchise hit a growth wall and wished you had access to capital to help them? Has it ever baffled you that a prospective franchisee with no experience can get funding, but a successful but new franchisee can’t? We have too, and in fact decided it was time for that to change. As franchisors, franchise consultants, and finance experts, our team was able to look at this through a unique lens and change that narrative. 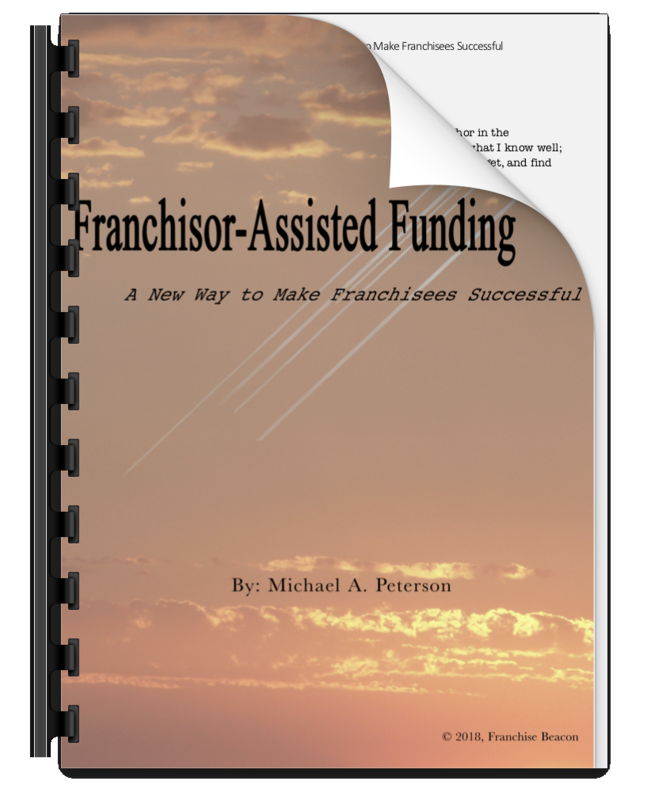 By bringing finance experts to the table, and guiding the process of designing franchise-specific funding options that could then be white labeled by franchisors, we provide you the tools to help your franchisees solve this problem. So how do you provide funding for your franchisees, without putting yourself at great capital risk? Frankly, the answer until recently was that you can’t, and this was an area franchisors stayed out of. What if you had the ability to provide the solution so your franchisees could grow unimpeded by a lack of capital? What if you brought the cash to the table that allowed your franchisees to realize their dreams? and what if, in the process, you eliminated several of your own challenges, increased your cashflow, and increased your growth curve? Check out the quick video below and, if you’d like to learn more, download our free ebook. Or just use the links on the right side of your page to book an appointment, send an email, or give us a call!